This season, Grandvalira are celebrating 15 years since the opening of southern Europe’s largest ski resort. Since its opening in 2003, Grandvalira has grown at an exponential rate, with constantly improving facilities and a huge range of non-skiing leisure activities. Throughout this time, Grandvalira has hosted a number of incredible events and this year they are ramping things up a level with the Men’s and Women’s Alpine Ski World Cup Finals, which will take place from 11 to 17 March 2019. An undeniable highlight on the alpine skiing calendar, this event will be the most important sporting event ever to be hosted in Andorra and is definitely one you don’t want to miss! An event that all skiers are sure to enjoy, the Grandvalira World Cup Finals provide holidaymakers with the opportunity to combine an amazing ski holiday with an incredible sporting experience. Watch 25 of the world’s best skiers battle it out on the slopes, before heading up the mountain yourself to take on the area’s exceptional skiing. 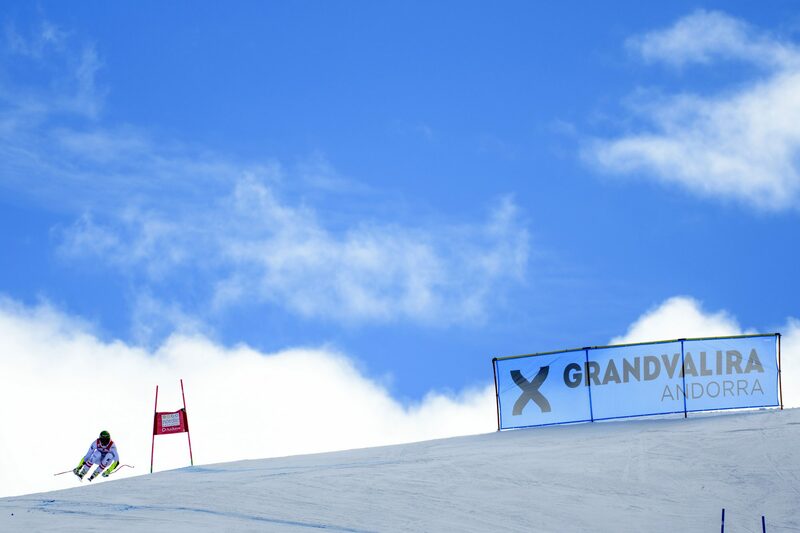 Whether you want to see Lindsey Vonn attempt to become the most decorated skier of all time or simply observe the incredible skill of slalom stars Marcel Hirscher and Mikaela Shiffrin, Grandvalira will provide the perfect setting in which to do so. Grandvalira is one of Europe’s best ski areas, with 150 miles of slopes to enjoy. The area combines the resorts of Pas de la Casa-Grau Roig and Soldeu-El Tarter, and has added Ordino Arcalís this year to bring you even more incredible skiing. Their commitment to constant improvement is evident, with €10.4 million invested in the ski area this year alone. Part of this investment involves improving the area’s infrastructure for hosting what is sure to be a huge event in the World Cup Finals. Firstly, a new 150,000 sq. foot ski platform in the Soldeu area, right at the foot of the Avet slope. This will allow visitors an enhanced experience when watching the World Cup Finals and will provide an additional 450 parking spaces to allow everyone to enjoy the event. Secondly, works on the Àliga slope in the El Tarter sector will guarantee safety and quality while ensuring that the world’s best ski racers will have the perfect stage on which to showcase their talents. The foot of the slope has also been extended to ensure that as many people as possible can observe and soak up what is sure to be an electric atmosphere. Inspired by the racing, you can try it for yourself! The technological development of Grandvalira means that here you can try the first online game of the Alpine Skiing World Cup Finals: the Ski Race Soldeu, where gamers can compete to achieve the best time on the World Cup slope! If you’re looking to book a ski holiday to Andorra, look no further than Destination Ski, a specialist ski travel agency with access to a huge range of package holidays from the likes of Inghams, Crystal and Neilson. As well as traditional package holidays they also offer a tailormade service, combining a wide choice of flights with flexible accommodation, combined with whichever ski extras you need. If you’re more of an independent traveller, then local experts Andorra Resorts will be able to help you plan and book a flexible trip.